In the series “algorithm regulation”, we discuss the implications of the growing importance of technological algorithms as a means of regulation in the digital realm. While the overwhelming majority of copyrighted works is no longer commercially exploited after short periods of time, the long copyright protection terms apply for all works alike. Registration requirements, for example after ten years of automatic protection, would prevent works from becoming orphaned and greatly enrich the public domain. Clearing copyrights can be and mostly is a very difficult and expensive task. One consequence of rights clearing costs is that it restrains creative practices such as sampling, remix or mashups, which heavily rely on the use of pre-existing works. Work registers would make rights clearing much, much easier than today. Digital technology greatly reduces the efforts necessary to register, to store works and to provide access to registrations. Abiding by registration provisions is therefore much easier and much cheaper than ever before. While the Berne Convention stands in the way of (even: seriously debating) implementing registration requirements into (supra-)national copyright law, the most successful private copyright regime of the last decade entirely builds upon registration: YouTube Content ID. A substantial proportion of works uploaded to YouTube has never been or is no longer commercially exploited. Actually, Content ID offers a new opportunity for commercializing musical works that are out of stock or are not available on other platforms such as Spotify (for an empirical study see Heald 2013). At the same time, uploaders can make use of orphaned works without having to fear legal consequences; if there is a rights holder, the worst that can happen is that the video is identified by the Content ID algorithm and blocked by the rights holder. Rights holders who want to monetize their works on YouTube (in addition to payments collected by copyright collectives such as the German GEMA) have to register and place copies of their works on YouTube’s servers. Videos uploaded to YouTube are scanned against this database of works provided by rights holders, who then can decide on how to proceed. Registered rights holders can (1) mute audio that matches their music, (2) block a whole video from being viewed, (3) monetize the video by running ads against it, and (4) track the video’s viewership statistics; each of these options can be country-specific. Taken together, this regime makes the Content ID system a transnational one-stop-shop for clearing copyrights across national borders. Most parts of the Content ID system are or can be completely automatized. This implies reduced costs for registering and monetizing works as well as for enforcing copyright. However, even automatized rights clearing becomes increasingly difficult, when many people hold rights in one particular piece of work. This is the reason why currently Content ID is mostly used for musical works, while excerpts of films or TV series are more difficult to handle (see again Heald 2013). According to statistics provided by YouTube, “[m]ore than 5,000 partners use Content ID, including major US network broadcasters, movie studios and record labels”, which provide “more than 25 million reference files in our Content ID database”. Given the advantages for both rights holders (enforcement and monetization) and users of copyrighted works (no legal risks and no necessity to clear rights in advance) the success of Content ID is not a surprise. At least for Google’s Content ID ecosystem we can observe a comeback of a registration-based copyright system. Currently, Content ID is only available on selected platforms, thereby strengthening their market power. Publishing user-generated content outside of Content ID platforms is still risky and clearing rights is still difficult. And since Content ID depends on cooperation of a multiplicity or rights holders and their registration, Google enjoys network effects of its large installed base. Even more important is the lack of transparency with regards to the negotiations between rights holders and YouTube. As I have previously described in this series (see Algorithm Regulation #3), the Electronic Frontier Foundation criticizes Content ID as “an opaque and proprietary system where the accuser can serve as the judge, jury, and executioner.” Similar to recent discussions around the “right to be forgotten” in Europe, an independent dispute settlement body is missing. This is of particular importance for those creators that build on previous works and want to monetize their creations, as well. Currently, Content ID only works as long as creators of derivative works don’t want to monetize their content. 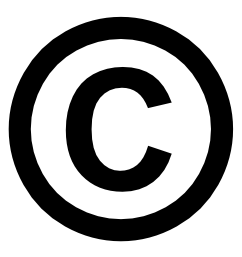 Rights holders of the “original” works used in mashups or remixes exclusively decide on the fate of derivative works – particularly in Europe, where copyright does not offer a general fair use defense. In conclusion, the Content ID example is the living proof that copyright registration can and actually does work. YouTube and other platforms with algorithms that combine enforcement with monetization show how registration provisions ease rights clearing and foster creativity. Without Content ID, publishing derivative works would be even more difficult than it is already. However, the lack of legislative regulation provision restricts the benefits of registration to commercial ecosystems. But maybe the example of Content ID can motivate international law makers to reconsider Article 5 of the Berne Convention. * Actually, this might not be so clear after all. For one, Stef van Gompel (2011) argues in a book on formalities in copyright law that reintroducing copyright formalities is legally feasible. For another, a “use-it-or-lose-it” clause (see also Kretschmer 2012) that would require registration only after Bern’s minimum protection term of 50 years after the death of the author would probably be feasible – and still help to deal with the problem of orphan works. Finally, several countries offer options for voluntary registration of copyrighted works.